GCU choirs’ Broadway show, seen here in 2016, is a fan favorite. The 2018 edition, “Broadway, Opera and Beyond,” will feature music from “Beauty and the Beast,” “Newsies,” “Into the Woods” and “Dear Evan Hansen,” to name a few. The Canyon Chorale, Critical Mass, Beauty and, well, the Beast, too. You’ll find them all at “Broadway, Opera and Beyond,” a fan-favorite concert annually that’s making a return 7 p.m. Thursday to First Southern Baptist Church of Phoenix. “This concert is a concert we’ve done for eight years now. Our audience enjoys the variety and selection,” said Dr. Juan de Dios Hernandez, Assistant Dean of Music in Grand Canyon University’s College of Fine Arts and Production, who just helmed an Ethington Music Series choir concert in February. That February concert focused on themes of faith – an important element in GCU’s choir concerts. Dr. Juan de Dios Hernandez will helm the “Broadway, Opera and Beyond” concert. “In many ways, Broadway music and opera speak to the same themes of faith but from a different perspective,” Hernandez said, adding how love, courage, and trials and tribulations are related in many ways to faith. They are another way, he said, of looking at the human condition. Also to be performed will be “You Will Be Found” from “Dear Evan Hansen,” which won the Tony Award for Best Musical in 2017. In addition, several students will present opera arias that were featured during their senior vocal performance recitals. 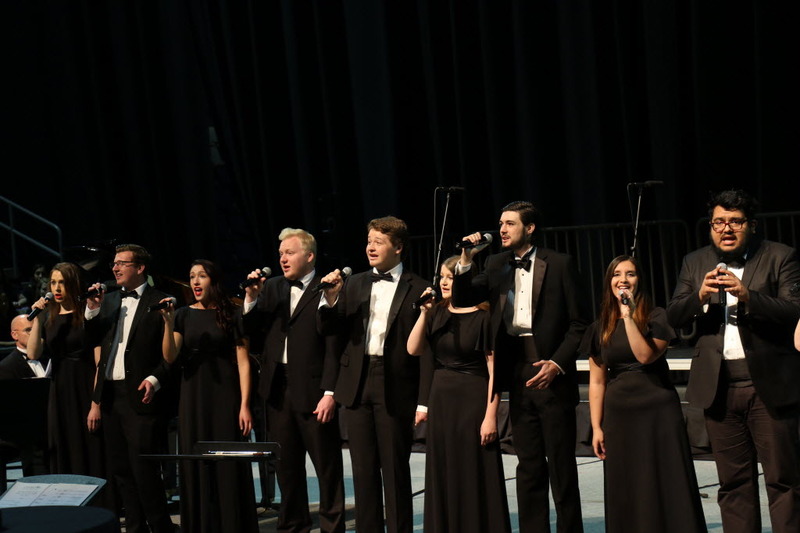 The concert is leading up to the GCU choirs’ April 23 performance at Carnegie Hall in New York, where they will perform with the New England Symphonic Ensemble under the direction of Hernandez. It will be the first time in the history of the University that the choirs will be featured at Carnegie Hall. 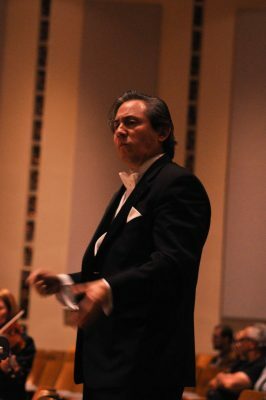 Hernandez was invited to conduct and extended the invitation to the University’s choirs. Students have been raising funds for the Carnegie Hall trip for several months. Thursday’s concert is free admission, though the choir will be accepting donations for the trip. You can reach GCU senior writer Lana Sweeten-Shults at lana.sweeten-shults@gcu.edu or at 602-639-7901. Follow her on Twitter @LanaSweetenShul.